If you are a Texas resident, you can get a car insurance discount just by taking a drug and alcohol awareness course. Read this article to learn more about Texas car insurance requirements, rates, discounts and programs. Liability insurance is mandatory, but you can consider other optional types of car insurances to help protect your further. 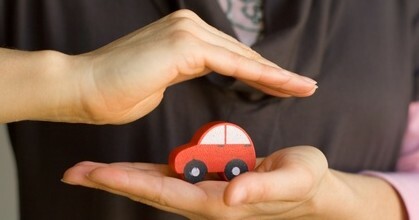 Comprehensive – Insurance cover that pays for damages resulting from all accident related events such as fire, floods etc. NOTE: If you are financing your car through a loan or lease agreement, you will require both collision and comprehensive coverage for your car. Uninsured Notices – This is a notice sent from Texas Vehicle registration offices when they discover your registered car has no car insurance. Proof that more than two car insurance companies in Texas have turned down your application for car insurance within the last 2 months. Uninsured/Underinsured Motorists Coverage of $30,000 for personal injury, $60,000 for injuries involving multiple people per incident and $25,000 for property damage. If you have received Texas car insurance through this program, and you completed at least three years without causing any accident, you can request your car insurance carrier to remove you from this program. If you leave TAIPA car insurance program, you will be able to enjoy lower rates for open market car insurance providers. Forcing car insurance providers to pay a disputed claim. You can learn more about TDI’s services through their website. The Department of Transportation in Texas is the department that handles drug and alcohol related car accidents. If you are convicted by this body as a result of driving under the influence of alcohol or any drug, you are likely to pay higher car insurance rates. You can learn more about DWI on their website. To help curb drug and alcohol related car accidents, all Texas car insurance companies are required to offer you a car insurance discount if you voluntarily take an approved drug and alcohol awareness course. This course is offered by Texas Education Agency (TEA). You will not be eligible for a car insurance discount if you have ever been convicted of drug or alcohol related car accident charges in the past 7 years.